If thinking of marketing as a party is wrong, we don’t want to be right! At SiarzaSD, we have found a few trends that we consider standard practices, but may not being fully utilized by businesses in their online marketing strategies. When we asked our team to fill in the blank “You’re late to the party if you aren’t_____” these practices came to mind immediately. Are we trend setters or just following the best practices possible? We’ll let you be the judge. Since its release in 2011, Snapchat has introduced features to social media that were never seen before. These features revolve around a new use of Stories. Stories can be public or private messages, but there are With the app, you can send and receive “snaps” of photos or videos directly to other users, or to your “Story”. Instagram has since introduced a Stories element to the app that has been gaining in popularity. There are now 1 billion people who use instagram daily and 500 million of these people are using Instagram Stories daily. Whether it is to post or view Stories, Instagramers have been taking notice of the “Snapchat” area of Instagram. Even Facebook has a story function that users can have similar posts as Instagram. So it’s safe to say, Stories are a party you need to join. 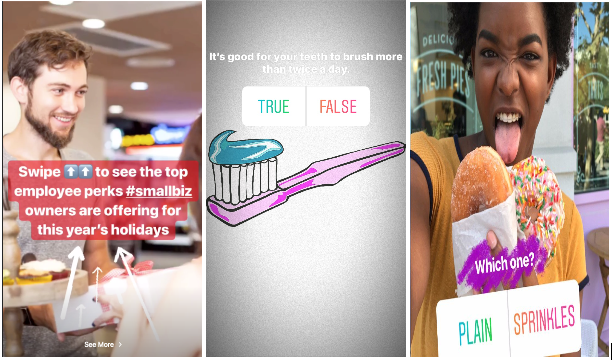 Instagram Stories allow you to combine the urgency Snapchat content, the visual appeal of traditional Instagram, and the network connection of Facebook. With each story, you can link to your website by swiping up, run a poll with your audience, tag other users, or ask a question. The video or image is customizable itself with features such as boomerang, zoom, filters and more. By using any of these features a brand not only appeals to new trends, but they actually get their followers to interact with their content instead of scrolling passed. Targeting a specific audience is all about creating categories for the intended audience of your campaign. Re-targeting ads uses data from previous campaigns in a way that takes advantage of the work you have already done. There are a few tools we use when running ads that help boost performance. First, consider using Pixels on the main page of your website you want to direct traffic to through your ad. Pixels track the visits and time spent on your website from clicking on a Facebook ad. You can use the data collected by the Pixel to retarget those users who visited your website previously to your new ad campaign. These people are already familiar with your brand and have interacted with your website before, so re directing them to a new target is a no brainer. Another way to retarget your audiences is to create custom audiences with users who have previously engaged with your content or have attended your events. This is different than creating a custom audience from scratch with specific interests and locations. By only including people who have previously engaged with you, your content will not only reach the right people but will be more effective. It’s a win-win, your engaged audience members see the content most relevant to them and you save time and money getting your content to the right people. Fergie said it best, when your website is not mobile friendly “you’re so 2008” and that makes you “2000 and late” to the party of smartphones. Well, she almost said it. 77% of Americans with cell phones have a smartphone of some kind. That is a huge percentage of the population that you are not reaching by being mobile optimized. 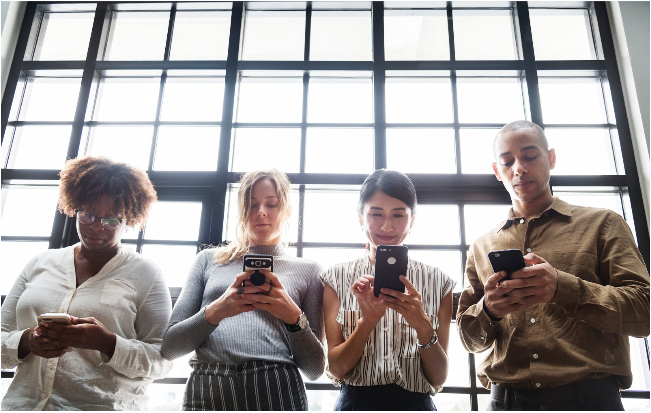 Sure, your website will still load on a mobile device even without being mobile friendly, but the impact of your content is lost on a smaller screen. You will meet more goals and convert more clicks to your website into revenues if you make it easy to access for different devices. That means if you make your website mobile friendly, you will be able to access a much larger customer base. FOMO (fear of missing out) is more than just a trending hashtag, it is a real cognitive process that can influence the success or failure of an event. FOMO has always been around, but thanks to social media it has become easier to see what we’re missing out on in real time. This makes that fear of regret, or fear of a missed opportunity even greater. The bigger the FOMO, the bigger the chances a person will try not to miss out in the future. 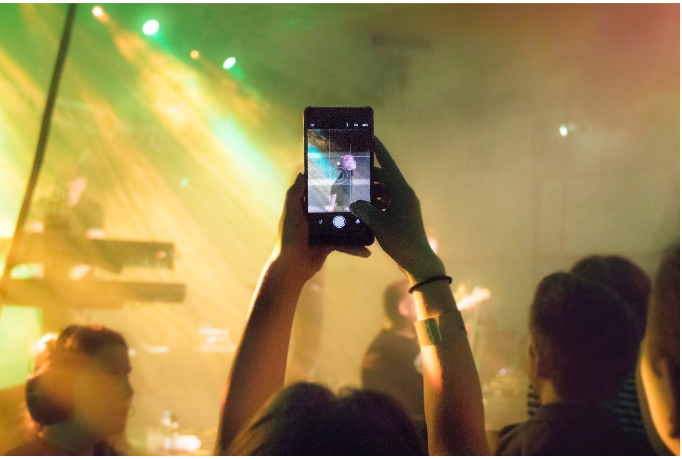 In order to bring the FOMO to an event, we like to incorporate “live” functions into our social media strategies. Live functions give enough taste of an event to keep people wanting more. Good social media coverage covers the small details you would not see unless you were there, and even some you wouldn’t — think behind the scenes or VIP views. An easy way to up your event engagement? 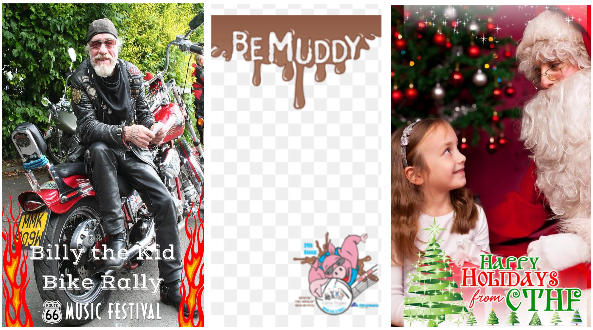 Custom geofilters. We mentioned Instagram stories earlier as one of the best ways to engage your audience with your brand, but one of the easiest ways to get your audience to be a part of your content is to create your own Snapchat or Facebook filters. Using customized, branded filters is yet another way to bring the FOMO to your event and create tiny social media keepsakes for your customers. Picture this, a person sends a Snap of themselves having an amazing time at your event to their story using your filter. Their friends all see the wonderful time they are having and start getting jealous they are not there too. Even better, they discover your business. This simple Snap helps your event increase brand awareness, increase name recognition, and can bring more people to your storefront or next event. Creating original, engaging content can be a daunting, time consuming task for your channels. But there are ways to make it easier. One great way to change up your content and to engage with your audience is by curating your user’s content. Today’s social media is full of talented photographers and videographers who can help illustrate their experience at your business just as well as you or your employees. And bonus: a happy customer’s perspective could be even more compelling than your original posting. Choosing posts that include a rave review about your products or services are a great way to accomplish this. Your engaged users will feel the love every time you share, repost, or retweet their content, and you will have an easier time building up your own content calendar! It’s not too late to join the party. Start implementing these tactics into your strategy! Need help getting started? Reach out to our team.